With an influx of beauty brands promoting ‘natural’ ingredients and exaggerating their benefits over their synthetic counterparts, it’s getting increasingly difficult to separate the wheat from the chaff. Are natural ingredients truly superior, or are they just an effective marketing tool for businesses looking to capitalize on our paranoia? WHAT THEY ARE: Oils that are extracted from plants through a distillation (water or steam) process. This technique uses all parts of the plant, such as the stem, root, and flowers to create highly-concentrated oils that are commonly used in skin care and aromatherapy products to provide fragrance. PROS: Some components serve to protect the skin, including antioxidants like caffeic acid and rosmarinic acid, as well as antibacterial agents. CONS: When oils are used in minimal concentrations below 0.1%, they can be non-irritating, but coupled with more than one essential oil ingredient, or more than one product being used at the same time, this poses a significant problem that snowballs and becomes difficult to manage. Furthermore, fragrance ingredients such as limonene, citronellol, eugenol, and linalool (all present in many fragrant plant oils) can irritate and damage skin. Sometimes, the damage isn’t external and can occur beneath the skin’s surface, leading to further problems down the road. There have been instances where people have experienced allergic reactions, irritation and even contact dermatitis because of the inclusion of essential oils. WHAT TO LOOK OUT FOR: In general, be sure to double check the ingredients list when a product exudes even the slightest amount of fragrance. Citrus oils, such as lemon, lime, tangerine, grapefruit, mandarin, and bergamot, are a big problem for all skin types and could lead to breakouts. Also high up on the list of problematic oils are peppermint, wintergreen, pennyroyal, balm mint, as well as camphor oil, which is a potent irritant. WHAT THEY ARE: Besides those that are naturally derived from essential oils, many artificial fragrances (that are primarily composed of chemicals) also exist. These are usually listed on personal products as a single ingredient using the blanket term ‘Fragrance’. Artificial colours and dyes, on the other hand, are made from petroleum by-products or from coal tar. PROS: Artificial dyes and fragrances are a lot cheaper to create, as opposed to their naturally derived counterparts. Products that contain these ingredients are thus typically easier on the pocket, and are much more affordable to use on a regular basis. CONS: Artificial fragrances, like essential oils, can result in similar harmful effects to the skin (as mentioned above) over prolonged periods of usage. 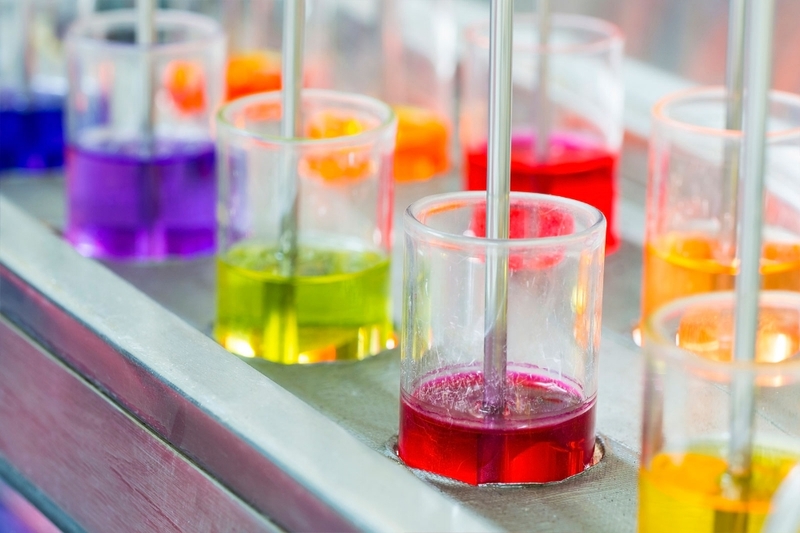 Artificial colours in skincare are also thought to cause allergies, skin sensitization and eye irritation. The toxic side effects of colours in skincare is a controversial subject. For instance, the colour yellow #6 that is frequently found in lipsticks has been linked to allergies, chromosomal damage in DNA, asthma and eczema. It is banned in Norway and Sweden. Artificial colours are also suspected of being carcinogens. A carcinogen is a substance capable of causing cancer in living tissue, which is an important reason why you should always remove all makeup thoroughly, since they frequently contain artificial colours. WHAT TO LOOK OUT FOR: As skincare products often have direct contact with your skin, and are usually leave-in products throughout the day or overnight, we highly recommend avoiding these ingredients in your skincare regime altogether. Look out for colours like Yellow #6, Red #40, and Green #3 which have been the most controversial in skin care products. WHAT THEY ARE: Silicones are synthetic compounds made from a combination of silicon, oxygen, and often other elements—typically carbon and hydrogen. While these are all naturally occurring elements, they often require chemical processing in order for silicones to be used in products. PROS: Because of their conditioning properties, emollience, and ability to prevent water loss by creating a breathable barrier, silicones can make the skin appear smoother and more radiant due to their light reflective properties and ability to fill in lines and pores, and make hair look healthier than it actually is. This is why they’re widely used in hair and skin products, like shampoos, conditioners, makeup primers, BB creams, foundations, and other cream-based cosmetics. Dimethicone, a popular type of silicone found in many cult favourite beauty products, creates a smooth and silky texture that feels hydrating, yet isn’t too greasy. CONS: While a barrier that seals in moisture might sound great, keep in mind that this also means that you’re trapping bacteria, skin oils, sebum, and other impurities in. It’s a surefire way to cause breakouts for oily and acne prone skin. Also, it might be helpful to think of a silicone barrier as a double-edged sword: While it keeps your skin from losing moisture, it also prevents external moisture from reaching your skin. This interferes with the skin’s natural processes like sweating, temperature regulation, and sloughing off dead skin cells. It’s merely a temporary quick fix that leads to a whole host of agonising problems. Additionally, when using products laden with silicones, a double cleanse is necessary. Due to the thick coating it forms on the skin that acts as a barrier, a single wash simply would not suffice to get rid of both the silicone barrier, as well as the bacteria and impurities trapped underneath it. WHAT TO LOOK OUT FOR: In addition to dimethicone, other common forms of silicones found in beauty and skin care products include methicone, phenyl trimethicone, and cyclomethicone. Find out how to spot their sneaky substitutes and get more informed. WHAT IT IS: Sodium lauryl sulfate (SLS) is a synthetic surfactant and cleaning agent. Do not confuse this with sodium laureth sulfate (SLES), a more gentle surfactant used in similar products. SLS is widely used in personal hygiene products like toothpastes, haircare and skincare products. In skincare, you will often find this ingredient in cleansing products, due to its ability to create a lather when it comes into contact with water, though it can also be used as an emulsifier (which we do not recommend). PROS: SLS provides that ‘squeaky clean’ feeling you get after cleansing, and works well with certain chemical services (like keratin treatments) for hair. CONS: It is one of the most irritating cleansing agents used in skin-care products, and can strip off the outermost effective layer of hair, including your natural hair oils. This has a drying effect on both hair and skin, and causes your skin to become more sensitive and even allergic over time. In fact, it is used in testing labs as the standard ingredient to test for skin irritation. In scientific studies, when establishing whether or not an ingredient is problematic for skin, researchers typically compare its effect to that of SLS. SLS can cause irritation of the scalp, gums and skin at just 1% concentration! WHAT TO LOOK OUT FOR: Avoid products with SLS and SLES (for those with sensitive skin) in their ingredient lists, especially for leave-in skin care products such as emulsifiers. 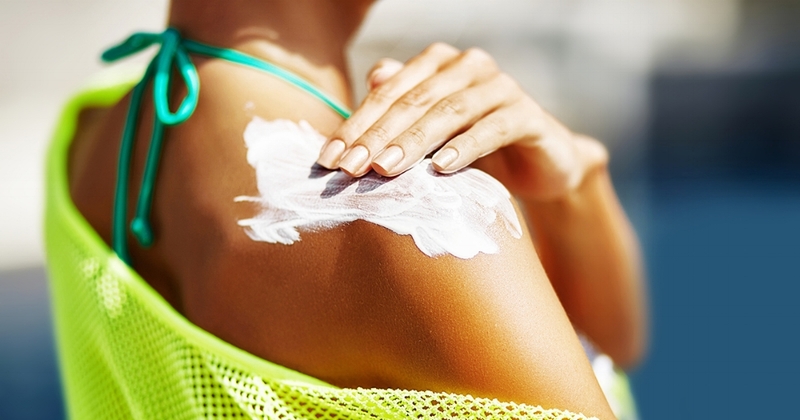 WHAT IT IS: Chemical sunscreens contain organic (carbon-based) compounds, such as oxybenzone, octinoxate, octisalate and avobenzone, which create a chemical reaction and convert UV rays into heat, then release that heat from the skin. They are often referred to as chemical or organic absorbers, and are applied directly onto bare skin for maximum effectiveness. PROS: Unlike mineral sunscreens which typically leave a white cast on the face that shows up in pictures, chemical sunscreens are usually devoid of zinc oxide and titanium dioxide - the main culprits in creating that ‘ghost-faced’ look that’s only welcome during Halloween. All you need to do is apply it, and leave it on for 10 mins to dry. CONS: Studies have shown that oxybenzone may have an impact on the endocrine system (the glands in your body that make hormones), and increased levels of oxybenzone in adolescent boys have been found to lead to lower testosterone levels. The chemical ingredients oxybenzone and oxtinoxate have also been banned in Hawaii for posing a risk of degrading coral reef when worn while swimming in the ocean. Anything our coral reefs reject, we probably should too. For those with dry skin, there is an increased chance of irritation and stinging due to the multiple ingredients combined in order to achieve broad spectrum UVA and UVB protection. In other words, breakouts and allergies galore. WHAT TO LOOK OUT FOR: We recommend avoiding chemical sunscreens altogether, unless you have that important photo op or special occasion (that isn’t a Halloween party) to go to. If you can’t tell from the product label, look for these in the ingredient list: oxybenzone, octinoxate, octisalate and avobenzone. WHAT THEY ARE: Drying alcohols are simple alcohols usually listed on cosmetic labels as ethanol, alcohol, SD alcohol, alcohol denat, alcohol denatured, IPA, isopropyl alcohol, methyl alcohol and methanol. The term “alcohol” by itself on an ingredient list indicates ethyl alcohol or ethanol. PROS: These volatile alcohols give products a quick-drying finish (great for sprays), immediately degrease skin, and feel weightless on skin. They remove water from the surface of the skin and temporarily tighten pores. Alcohols are also great solvents of substances that are insoluble in water. They help integrate the various ingredients in a formulation by increasing their solubility, creating a smooth and well blended texture for a serum or gel. Additionally, alcohol has anti-microbial properties, which allows it to function as a preservative in skincare formulations and prevent contamination. CONS: The benefits that alcohol provides are temporary, and lead to negative long term consequences. They disrupt your skin’s naturally protective sebum layer, making it prone to infections and irritation, all the while dehydrating cells and potentially increasing the appearance of fine lines and wrinkles. As alcohol is incredibly drying, using alcohol-based products to control oily skin actually leads to more oil production when your skin tries to compensate for the removal of its natural oils, resulting in the clogging of pores, an increase in bumps, and enlarged pores. More importantly, alcohol can cause a death of skin cells, and put a strain on how your skin replenishes, renews, and rejuvenates itself. WHAT TO LOOK OUT FOR: Besides avoiding the harmful alcohols mentioned in this section, there are great fatty alcohols you should look out for which are absolutely non-irritating and can be exceptionally beneficial for skin. Examples include cetyl, stearyl, and cetearyl alcohol. Many others exist, and have the common ‘-yl’ suffix in each alcohol name. These fatty alcohols are typically derived from natural fats and oils, often with a wax-like consistency, so they function best as emollients or emulsifiers. Not sure which products fit the bill? We highly recommend that you check out Drunk Elephant’s skincare range, tailored to rejuvenate and nourish your skin with only the best ingredients.